I got the red version of this case, and don't listen to the haters, but this case is great and it looks awesome. I made sure I color coordinated everything in my PC, I even bought red sleeves for my wiring and it looks hot, that and red LED case fans. 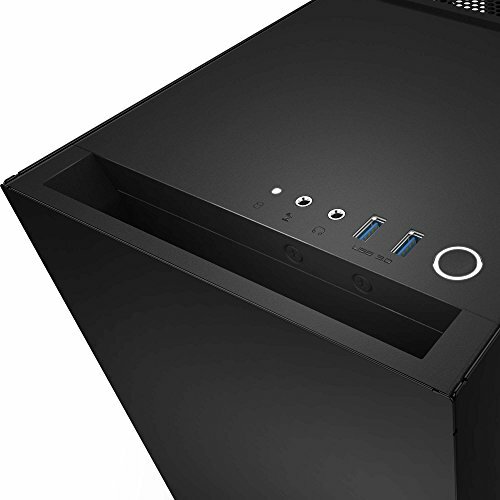 Forgot to say that this case has great cable management and hides cables (I didn't do a good job with cable management, I just hid all the cables lol), HDD(s) and the PSU very well. If you decide to get case, then keep in mind that it has no reset switch so that means there is no wire for it for the MOBO, and I was panicking during assembly b/c I thought I accidentally broke something. i got this on sale at my local microcenter. It was on sale for 55 dollars. I like the PSU and cable shroud. These parts were originally in a corsair 500R but i did not like the cable management on it, but the S340 shortly after building this build. I love and hate this case. I love it for its simplicity, aesthetics, and seemingly solid construction. However, with a case in this price range not every thing is going to be perfect. 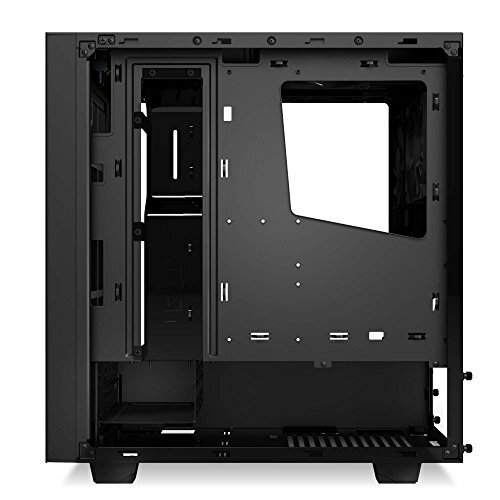 Keep in mind this is definitely on the smaller end of mid tower cases. It comes with a 3.5" drive cage in the basement. It can hold two in the cage and one mounted directly below it attached by screwing from the bottom of the case. (no rubber or vibration dampening, :( ... I know its only a $70 case) With a little work you can remove the cage all together, if you don't need 3.5" drives. This would give you all the room you could need for the PSU problems mentioned above. Also note, that there is a place to mount two SSDs on top of the PSU cover. Who doesn't want to show those off?? I'm amazed how how easy it was to manage the cables in the case. For being as small as it is and with very little clearance on the back side, its great. They solved this issue by using this cable management bar that protrudes into the case. This allows you to pass cables back and forth seamlessly. Thinner at the bottom and wider at the top to allow for those bulky 24 pin connectors. Really is a great design. Cons: Finish, window, door clearance, no 5.25" bays (this isnt a con for me but you should know it doesnt have any. Ok again this is a $70 dollar case so I can't really complain that much. The finish on this case is super easy to scratch. I mean a fart and a dust particle could scratch it. However, there is a simple solution to fix this. Get some high grade car wax and put multiple coats on, at least 3. Takes a little time but it makes it super easy to wipe off finger prints with the high gloss finish (exterior). The entire is a nice flat black, very sleek. The window is also easy to scratch, same solution as the exterior finish. Put some wax on it first thing. And you'll be good to go. This is probably my biggest problem with the case. And only because of how I configured it. 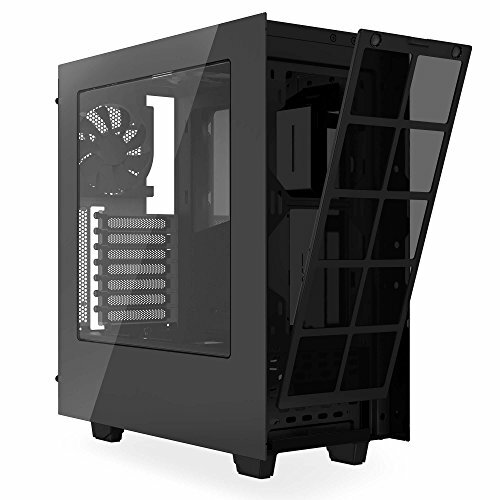 Like I said its a small case, but after I put in the rear 120mm Radiator, I couldn't put the panel back on because of the window hardware on the back side of the panel. I'm talking 1 to 2mm of clearance is all I would of needed. I ended up take a dremel and sanding down the acrylic to get the clearance I needed. Other thoughts: Case comes with a magnetic front air filter, nice quality. The bottom psu fan filter is lacking for sure. Again back to that $70. Its just a cheap plastic filter that fits into some grooves. However, it serves its purpose. 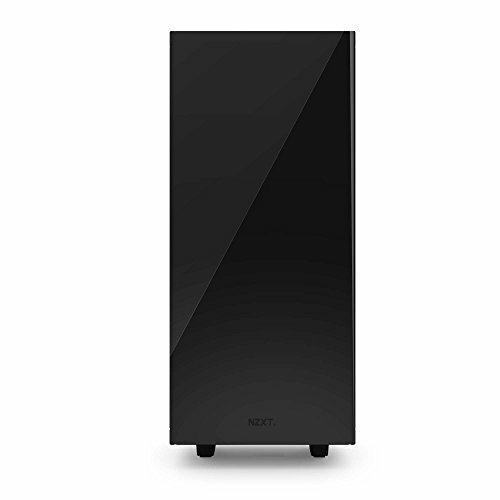 It has nice tall feet to allow the PSU to breath, even on carpet (good thinking NZXT). Top exhaust grill will allow for either a 120 or 140mm fan. Rear case, supports only 120mm. Front will support both 120 and 140mm (2 slots). 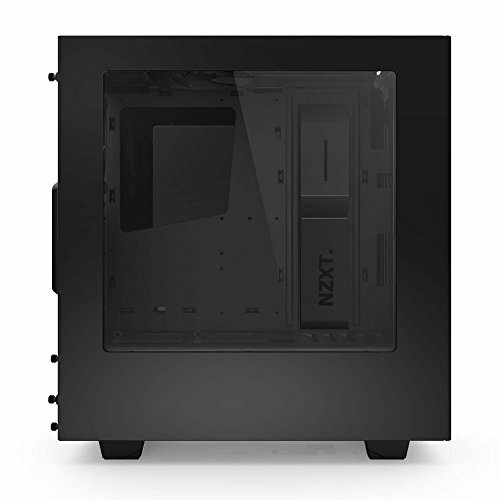 I would really like to see NZXT expand on this case for a future product. 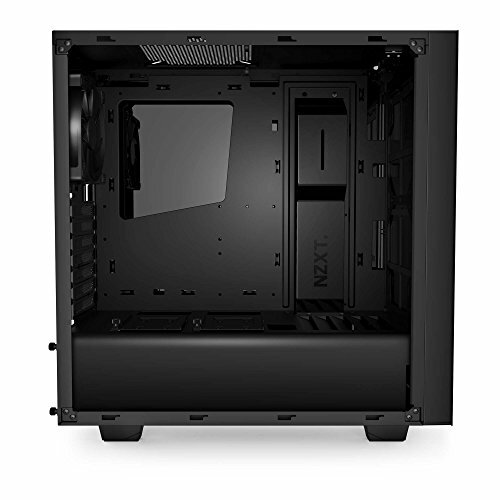 I would like to see a more expensive case so that it could include the following: 1) Rubber mounting system for the 3.5" bays in the basement. 2) A rail to slide the 3.5" bays in and out. 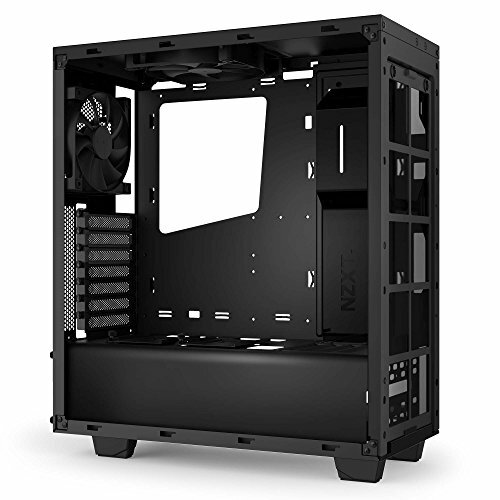 (make it easier for those who do not need it) 3) Higher quality, less scratch resistant finish 4) Better bottom psu filter (framed) 5) at least 2mm of width added so that the panel window wont contact a rear mounted radiator. Great case for the money, the cable management bar is a fantastic idea, so is the PSU shroud, keeps everything nice and tidy. The window is easily scratched but that's true of most perspex I suppose. Nice solid case for the price. The side panels feel solid. But there are a few gripes, the plastic window is very easily scratchable. Hard drive installation is possible only one side (screws from the front). 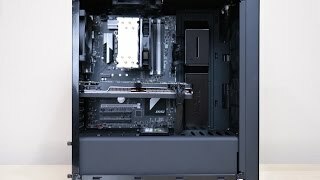 Even the SSD mounting is not possible using an L connector as it interferes (at least with my SSD) other then that wire routing, looks etc was superb. This case has everything going for it: great organization; nice airflow and; so on and so forth. HOWEVER, the window is a piece of utter unspeakable crap. Jeez! This thing scratches so easily I think if I were to breath on it the water molecules in my breath would scratch it. This is a fatal flaw and if NZXT hadn't of given me a new one things would of gotten ugly. All in all I must say it is a good case except for that window!